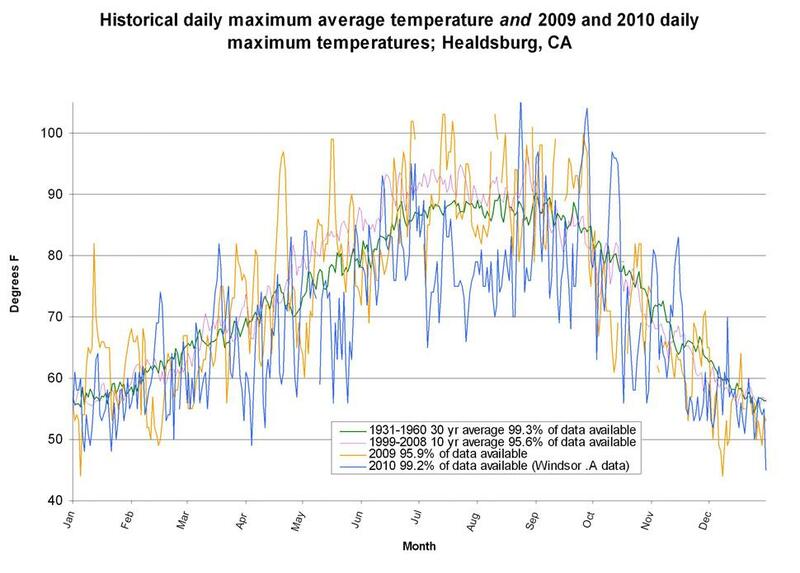 Daily maximum and minimum temperatures were obtained for Healdsburg and Graton “climate stations” through 2009 from the UC Integrated Pest Management (UC IPM) website. 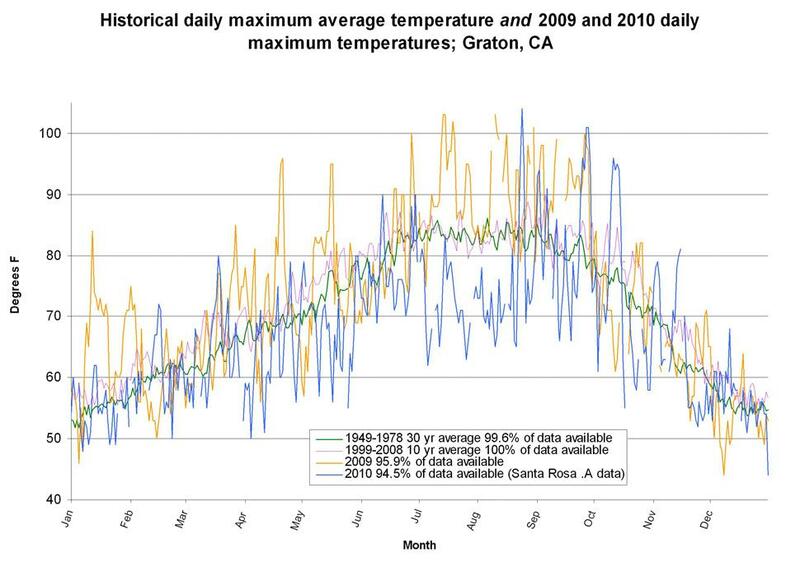 Climate stations provide long-term records of daily maximum and minimum temperature and precipitation and are maintained by the U.S. Department of Commerce/National Oceanic and Atmospheric Administration (NOAA). 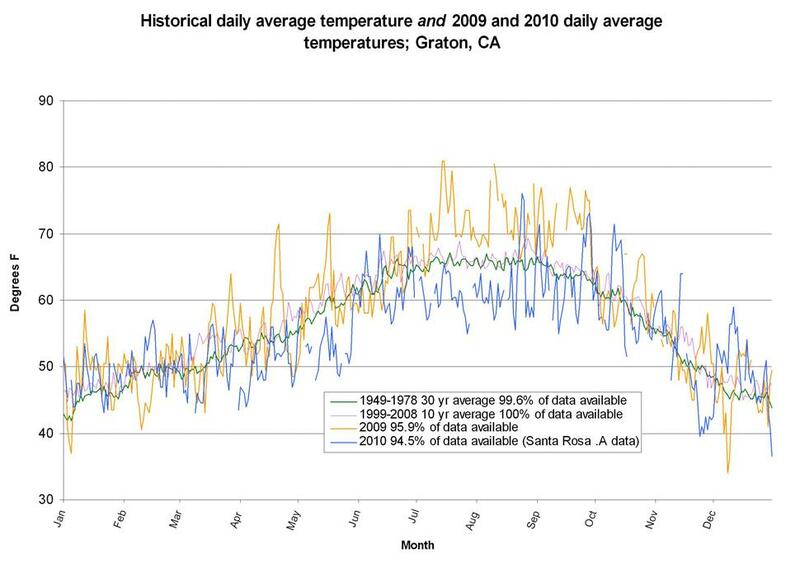 The stations also provide current weather data for dates prior to the last three to six months. 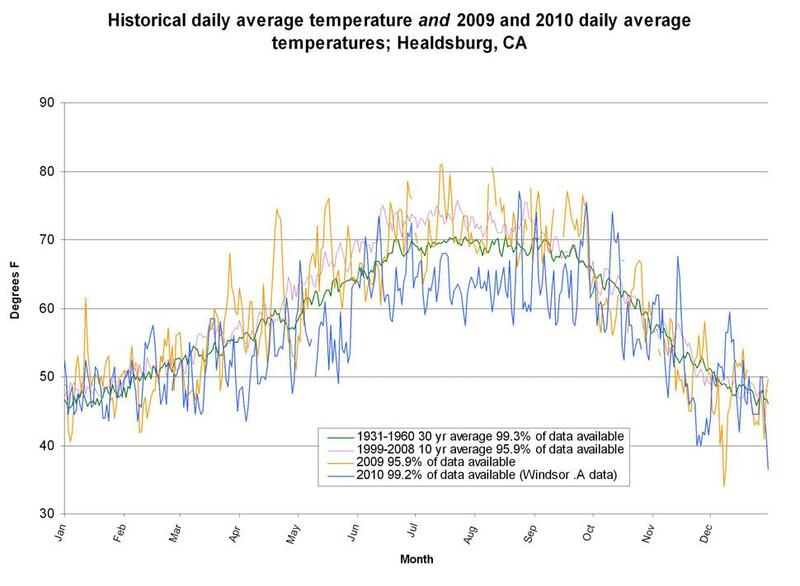 The climate stations are located at the Healdsburg Fire Department and the Hallberg Butterfly Gardens in Graton. 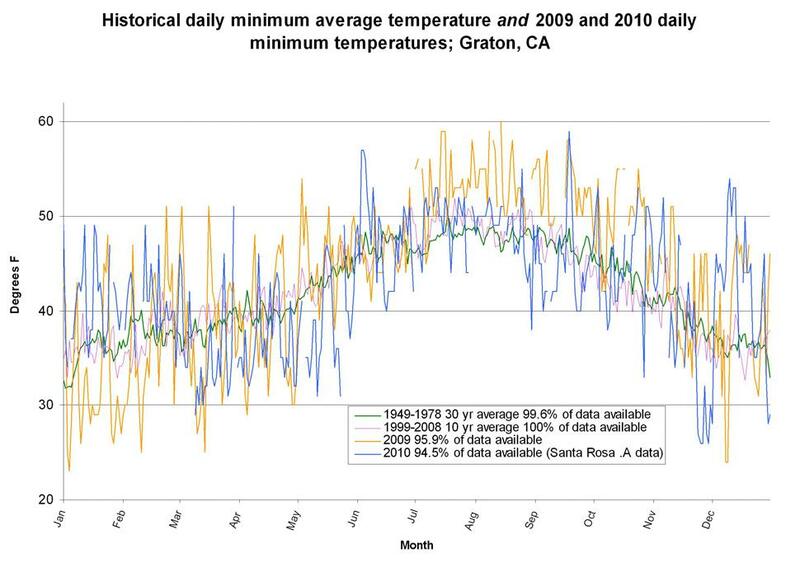 Temperature data for 2010 were obtained from “automatic stations,” which are part of the CIMIS network operated by California Department of Water Resources (DWR). Automatic stations supply current daily values of several agriculturally important weather variables. Data are collected daily by DWR, which then provides them to UC IPM. 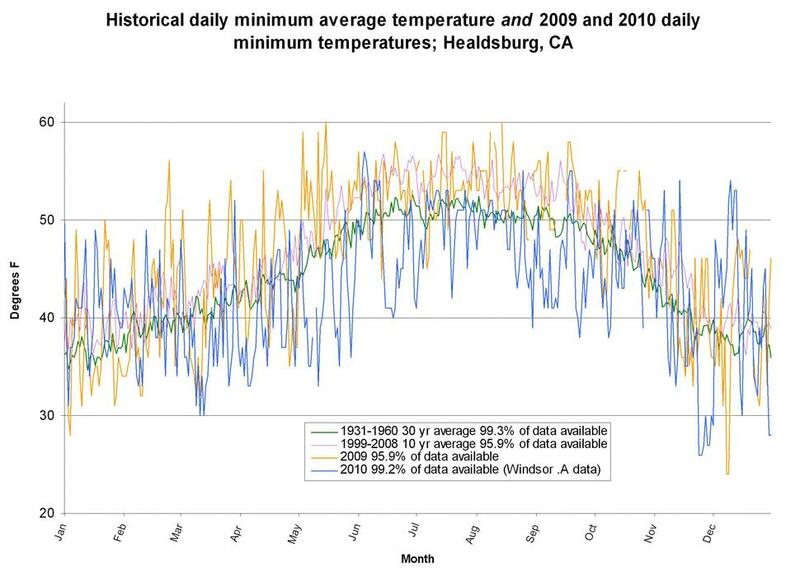 The automatic stations used to obtain 2010 data for the Healdsburg and Graton graphs are the “Windsor.A” and “Santa Rosa.A” stations respectively.